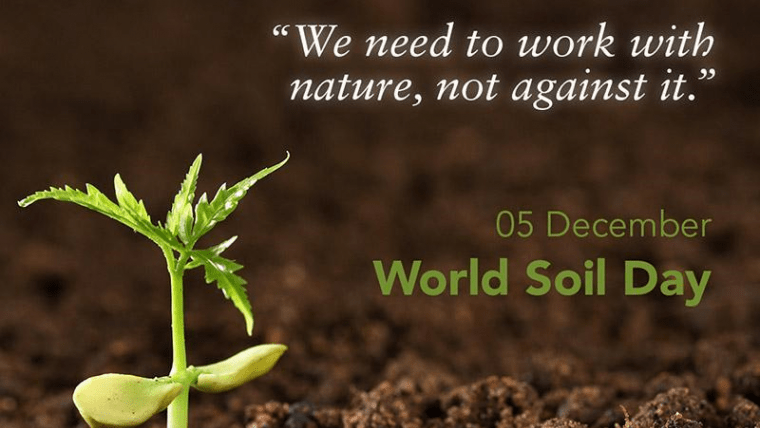 Today is World Soil Day. declared by the 68th session of the United Nations General Assembly in 2013. 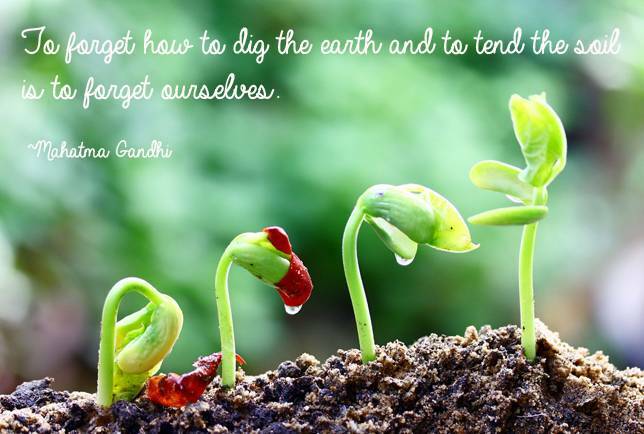 The purpose of the Day is to raise awareness worldwide of the importance of soils for food security and agriculture, as well as in mitigation of climate change, poverty alleviation, and sustainable development. If you are not a farmer or gardener you probably rarely, if ever, think about soils, soil quality, and their effects on your daily life. I got involved in gardening as a boy, to differing degrees, in Australia and England, but when I bought a house in New York State I got deeply involved in all kinds of gardening – herbs, vegetables, trees, grass, rockeries, flower beds, water plants, houseplants, potted plants etc. – for 30 years. Soil, of all types, was key. Caring for the soil was paramount. If you have not worked the soil as a farmer or gardener, you probably do not understand how complex it is, how much of a living thing it is, and how much it interacts with the rest of the world. Soil is a mixture of organic matter, minerals, gases, liquids, and organisms that together support life. 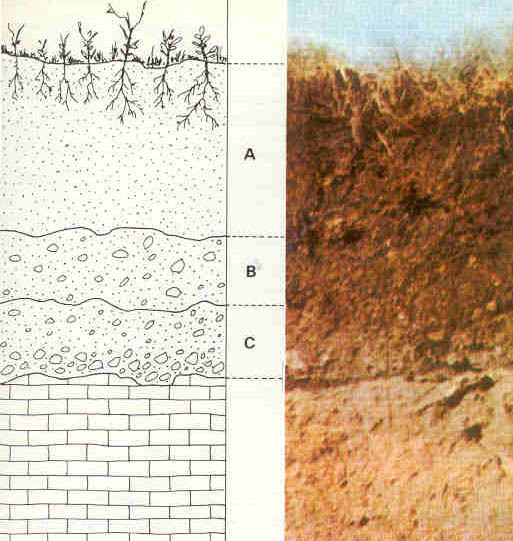 Earth’s body of soil is the pedosphere (the earth’s skin), which has four important functions: it is a medium for plant growth; it is a means of water storage, supply and purification; it is a modifier of Earth’s atmosphere; it is a habitat for organisms; all of which, in turn, modify the soil. Most soils have a dry bulk density (density of soil taking into account voids when dry) between 1.1 and 1.6 g/cm3, while the soil particle density is much higher, in the range of 2.6 to 2.7 g/cm3. Little of the soil of planet Earth is older than the Pleistocene (2,588,000 BP) and none is older than the Cenozoic (66,000,000 BP), although fossilized soils are preserved from as far back as the Archean (4 billion to 2.5 billion BP). That is, soil has been around for a very long time, but it evolves. The era that some anthropologists (and others) call the Anthropocene, the period when humans began having a major impact on the environment, could see a fundamental change in the nature of soil. I don’t really use the term Anthropocene, but I do talk about the two great disasters that befell the planet: the domestication of plants and animals, and the Industrial Revolution. So . . . 12,000 to 15,000 years ago, humans started exploiting the planet – particularly the soil – via domestication, and it has been downhill ever since. The Industrial Revolution sped up the process, and now we are facing the consequences. Instead of a food recipe today I have a recipe for compost. 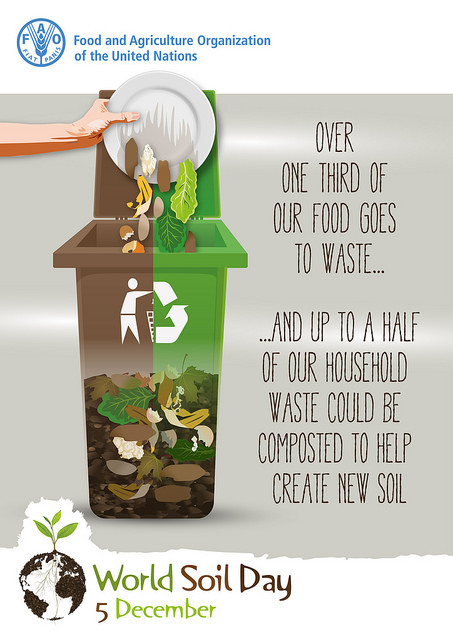 I always composted kitchen waste, leaves and grass clippings, and had plenty of compost all the time for my vegetable garden so that I did not need chemical fertilizers (and also so that my kitchen waste was not really wasted). It’s not a difficult process, but this video lays it all out clearly.